Easter is almost here! Easter eggs and bunnies are everywhere! Here are a few fun Easter Activities to make with the kids. If you need an art activity, click here for directions to make a cute paper bunny with heart shapes. If the kids are learning about time, make some fun bunny clocks with inexpensive paper plates. Click here for directions. If the kids need a container to hold their game dice, click here for directions. If the kids are learning their colors or you just need a free Easter coloring page, click here. If the kids need addition practice, make these cool Addition Easter Eggs with a package of plastic Easter eggs and a permanent marker. Read here. For more ideas, visit my Pinterest page here. This year we will celebrate Earth Day on Monday April 22. It was first celebrated in 1970 and now is a worldwide annual event. Adults and children demonstrate their awareness and support for environmental protection. There are thousands of great ideas on the internet to help you and your students have a fun day! Here are a few more! Earth Day Free Printable Craft! Directions are here on my blog. Click HERE for directions. Earth Day Counting Puzzles at my TPT shop for preschool and kindergarten. (Numbers 1-20) Click HERE to go to my shop. 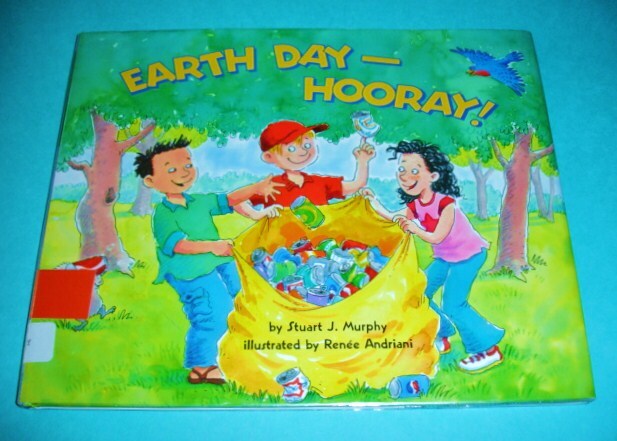 Earth Day Counting Puzzles at my TPT shop for kindergarten and 1st grade. (Numbers 1-120) Click HERE to go to my shop. Have fun on Earth Day! 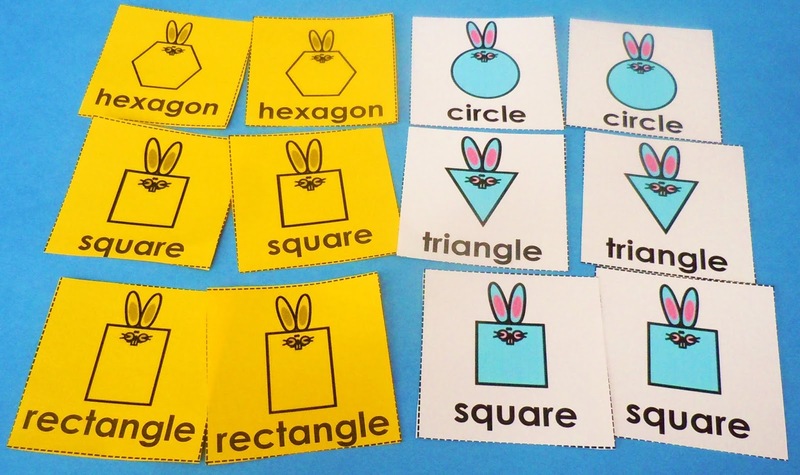 I have recently updated my free resource 2D Shapes for Kindergarten. I want to show you all the parts that are now in this resource plus give you the link to download this file. Students will have fun learning about circles, triangles, squares, rectangles and hexagons! Everything comes in color and black & white except the worksheets which are only in black & white.. The file includes word wall cards. Also included are matching cards. You will also receive anchor charts / mini-posters. Also included are fun Memory Cards. Plus just added today are 5 fun coloring worksheets for students! These worksheets with a fun bunny theme will be great to use in the spring, for Easter, or any time of the year. Click here to go to my TpT shop to download your free copy of the file. I love using 120 number charts with young math students. They can be used in so many different ways! Here are 2 free charts for you to use with your students! Very young students can use the charts when they are learning to read numbers and count by 1s. A completed chart plus a chart that students have to fill-in are both very useful. Older students can use the 120 number charts when they are practicing skip counting. Skip counting will help students get ready for learning multiplication. Skip count and color by 2's 5's, 10's, etc. Identify and color all the multiples of 2 the same color. Identify and color all the multiples of 3 the same color. Identify and color all the multiples of 5 the same color. Identify and color all the multiples of 10 the same color. Identify and color all the multiples of 4, 6, 7, 8, or 9 the same color. These 120 Charts are also great for working with odd and even numbers and also with prime and composite numbers. Identify and color all the even numbers. Identify and color all the odd numbers. Identify and color all the prime numbers. Both of these Christmas 120 Number Charts are free for you to use with your math students. Just click on the links under the pictures to go to my website (Learning Workroom) and download the free printables. In less than a week Thanksgiving will be here! Could you use some free, fun turkey-themed worksheets to use with the kids? With these turkey-themed worksheets, the kids can review math and literacy skills in a fun way. The children will need crayons, markers or colored pencils to complete each worksheet. These free Thanksgiving worksheets are great for kindergarten, first grade, and second grade students. These worksheets are no-prep! They are easy to use at home or in the classroom. They are on my website. Just click on any of the links under the pictures to go my website and download your free copies. Wishing you a wonderful holiday with family and friends!